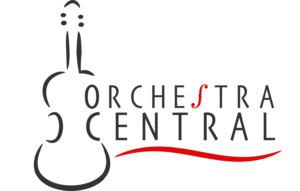 The violin is a vital instrument in any classical orchestra or ensemble. 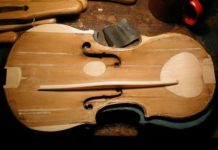 Like most instruments, the violin started acoustic, and remained such for many, many years. However, technological advancement has allowed manufacturers to produce many electronic versions. Like most things in life, a well, these newer electronic violins have benefits, as well as limitations. In this review, we will discuss the Yamaha SV 200 silent electric violin. 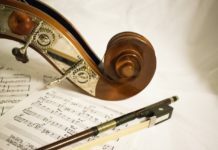 You will see the benefits, limitations, the features, and the reasons why this particular version stands out from all of the previous versions of the violin. We will also explore unique features and benefits of the Yamaha SV 200 that make it stand out from other electric violins that you will come across. 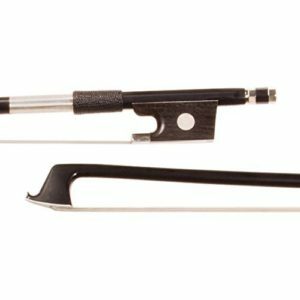 Dimensions 23.7" x 12.2" x 6.3"
The Yamaha SV 200 silent violin is an excellent pick for an advanced level player who wants to experience a natural-sounding electric violin. It is the perfect combination of both the acoustic and electric worlds. As a professional player, you understand the importance of choosing a violin that produces high-quality sound. This silent violin is a new model with a high-quality tone, as well as several extra features, which make practicing and playing this instrument highly enjoyable. The sleek, excellently-designed violin brings an extra cool appearance to the violin, and the finish used on the instrument is similar to the feel and finish of its acoustic older brothers, and you have the option of choosing from four different colors: black, brown, ocean blue, and red. The instrument weighs in at just over 3½ pounds, making practicing and performing with this instrument the dream of any player. Its lightweight body is ideal for lengthy practice sessions and long concerts (the battery can last up to 12 hours). 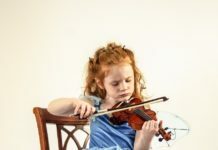 Shopping for a violin takes time, and one of the main components that people look for (and why they hesitate to buy just any violin) is sound quality. Like all acoustic/electronic instrument pairs, acoustic and electronic violins differ in the way they produce sound. The Yamaha SV 200, however, is an instrument that brings both the acoustic and electronic sounds together into one instrument. Because of its construction and design, this electric violin sounds more like an acoustic violin, but with the convenience and ease of still allowing the performer to moderate the volume, as is characteristic of electronic instruments. 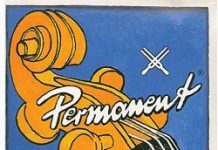 As the name “silent violin” suggests, the Yamaha SV 200 is capable of maintaining a lower volume while you play (although, technically, it isn’t “silent”). 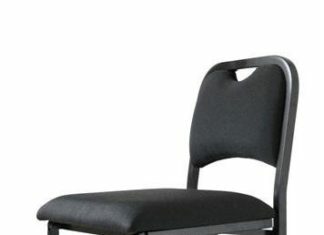 People who are in a different room will not even hear the sound of the instrument. Alternatively, you can connect a pair of headphones to the instrument using the port located just behind the violin. This is a nice feature, as it keeps the chord out of the way of the performer. 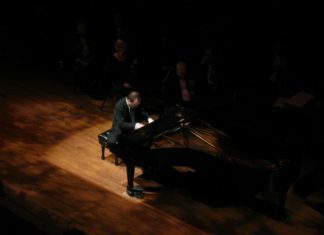 Like most electronic instruments, the performer has the ability to select different reverb options at the violin itself, rather than the amp. The violin also has two Piezo pickups, each designed to capture sounds from two distinct sets of strings. One picks up the sound from the upper strings and the other picks up the sound from the lower ones. This improves the sound quality of the instrument, and helps prevent audio feedback (a problem common to external pickup devices). Who is the Yamaha SV-200 electric violin best suited for? 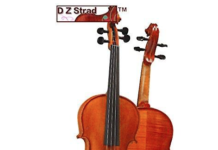 This violin is suited for advanced players who want an electric violin that both looks great and sounds amazing. Any player who is looking for a quality electric violin for live performances should consider the Yamaha SV-200. The dual pick up elements enhance sound and prevent feedback on the speakers. The silent electronic violin is perfect for playing on a stage or a big hall. It has extra sound effects and reverbs, and, like a guitar, can be connected to a pedal for added effects. Its weight, the design of the neck, and its versatility in regards to chin rests make this violin ideal for long practice hours and concerts. Even carrying it is more comfortable. Its silent mode is quiet enough that practicing won’t disturb someone in the next room. Plus, with the added ability to use headphones, the Yamaha SV200 is the ideal instrument to have when your practice time would otherwise disturb people. Many beginners would never want to hear this statement. Tutors insist that they should stick to their acoustic instrument. 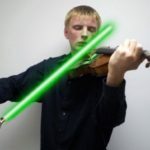 Nonetheless, classical students would rather not use the instrument as well. You are going to need a 9V battery, and you can expect up to twelve hours of continuous play. The Yamaha silent violin features a stable structure that players will love. The Yamaha SV-130 outfit comes with a Kun shoulder rest, bridge, strings, and of course the violin. You will need to buy a violin case and violin bow separately. The Yamaha SV 2OO is a product of the Yamaha Company. The international company has stood out over the years with the production of the best instruments, home appliances, motorcycles, and sound equipment. The company was established in Japan. The organization also has vendors located in various parts of the world. They also have their headquarters in the United States. When shopping for the appropriate violin, you should always check on the sound quality. The SV 200 passes that test because it produces the best sound quality. The user enjoys the best of both worlds. Your instrument will sound just like the regular acoustic violin. The instrument does not compromise on sound, and while it tends to run on the higher end (expect to pay between $1,200 and $1,300), it is most definitely worth the price. 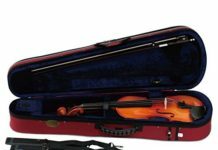 To read reviews about more Yamaha electric violins, read our review of the best Yamaha electric violins.